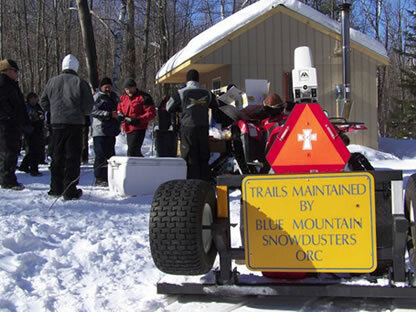 Did you know Grantham’s Blue Mountain Snowdusters maintain and groom over 40 miles of local trails for outdoor winter recreation? Uses include snowmobiling, cross-country skiing, dog sledding, snowshoeing, and fat tire mountain biking. There are even two warming huts where you can come inside and take a break from the trail. Visit http://snowdusters.org/ for more information and to become a member. Thanks to all of our local landowners who allow trail access!